2-Prs. of Outfitters Overtop Polycarbonate Safety Glasses are impact and scratch resistant. In the shop, the clear lens Safety Glasses shield your prescription glasses from flying debris. Save BIG now! 2-Prs. of Outfitters Overtop Polycarbonate Glasses, Clear is rated 4.6 out of 5 by 26. 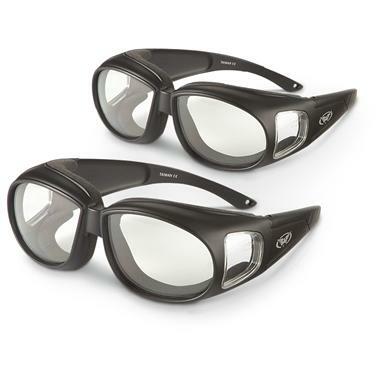 Rated 5 out of 5 by livewell from Good item for price I like these because they do fit well over my glasses and provide good protection, including from the sides. Handy for both the range and the work shop. Rated 5 out of 5 by 440Freddie from Great Price Quality Buy These units cover my prescription glasses and actually hold them in place . I feel comfortable using them shooting or working in my shop and I use them at work. These are great and kept me from having to buy prescription safety glasses. 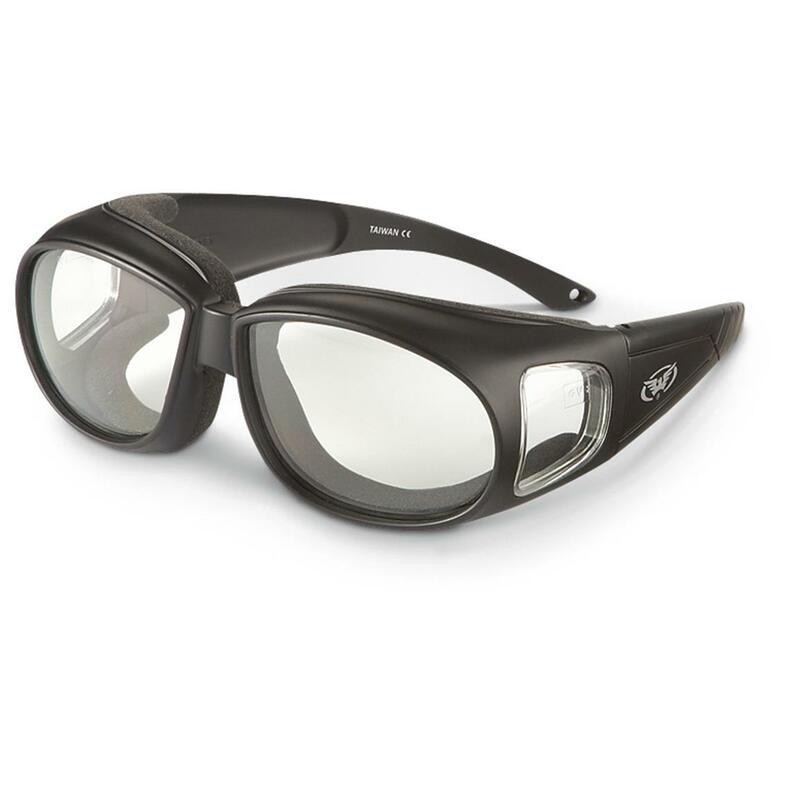 Rated 4 out of 5 by Master Target from Price is good These safety shooting glasses work very well for me because they fit right over my prescription glasses I have also bought the amber lenses and I like them better than the clear, but if you wear sun glasses they work well also. The one thing that I do like is that they are not overly bulky. Rated 5 out of 5 by Rick from Polarized Sunglasses These are not your ordinary sunglasses, they are not tinted dark and instead are clear and are still polarized. I can use them at night and seeing through the lenses is the same as if not wearing them. They are comfortable and fit well. They are snug on my head and I don't concern myself with them coming off by themselves. Rated 5 out of 5 by Old Timer from Superior Design It is great to have found ANSI approved safety glasses that fit over prescription glasses and that also have side protection. These work. Rated 4 out of 5 by Matt from Best value My wife is very happy with them. They fit over her glasses. Rated 5 out of 5 by Eric from Great price on these shooting glasses, you get two pair cheaper than one. They fit over my prescription glasses with no problem.